Designation for a temperature cycle crack due to increased stress concentration. 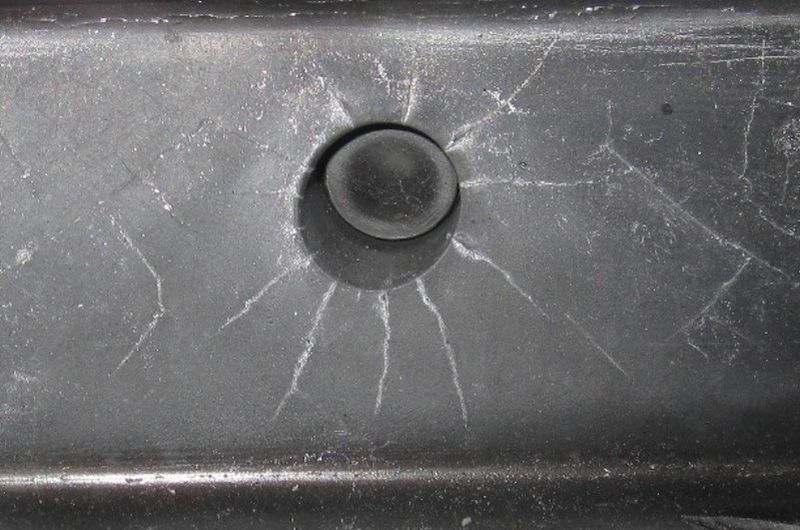 Stress cracks are the most common source of failure at molds made ofmaraging steels. They are the consequences of the unfavorable design or contour of a metallic permanent mold, particularly molds with high and alternating temperature loads as they occur in die casting molds. Stress cracks may also occur due to errors during production or heat treatment of the hot-forming steel. Besides the firing cracks, stress cracks occur in ranges of highly concentrated stress (e.g. at edges, see Fig. 1) with mainly geometric or thermal causes. Large radii and roundings at the edges or cross-sectional transitions contribute to the prevention of stress cracks and prevent propagation of these cracks. Hot-forming steels with high toughness also reduce the tendency for spreading of this type of cracks. 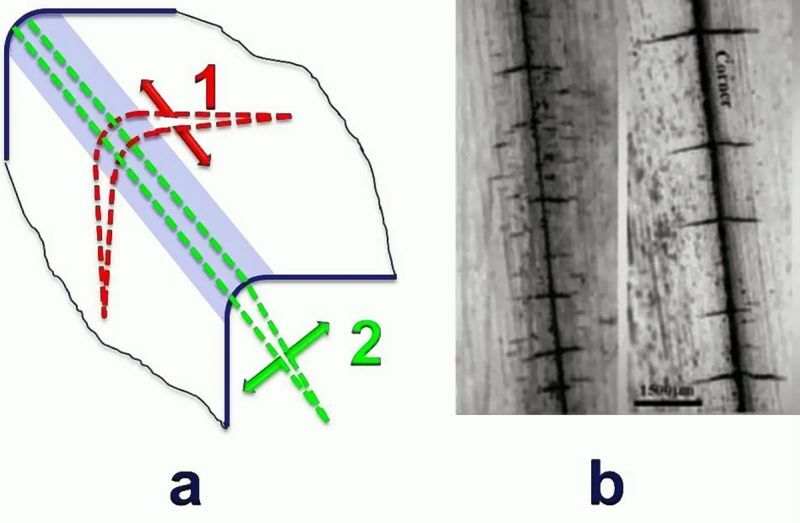 Figure 2 illustrates the continuing growth of cracks in hot-forming steels with various toughness. Design-related stress cracks: These occur at positions of maximum local stress as a result of notch effects due to mold contour. These include notches and edges, excessive cross-sectional transitions and too small radii, webs or cross-sectional transitions (Fig. 3). Stress cracks as a result of production defects: occur due to too quick heating and/or quenching during heat treatment. In comparison to firing cracks, stress cracks are mainly single, extensive cracks without visible net of cracks (mesh). 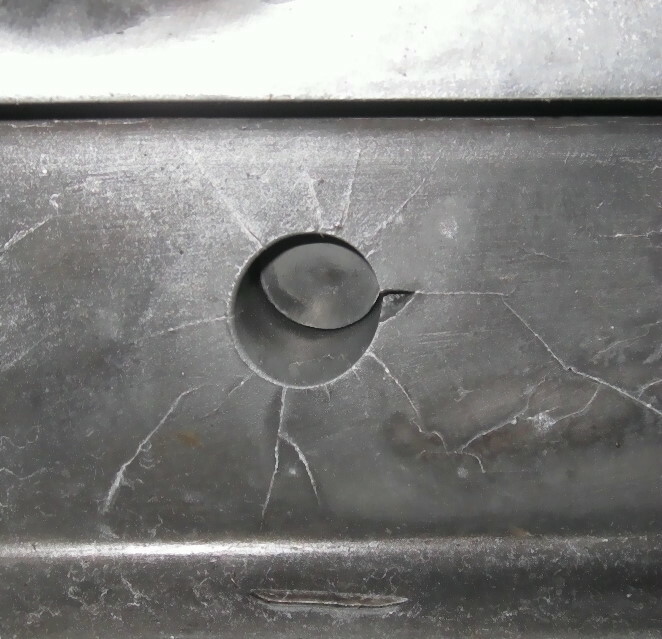 Professionals in the field of die casting are aware of numerous cases of stress cracks around ejector bores as illustrated in the figures 4 and 5. Srivastava A., Joshi V., Shivpuri R., Computer modeling and prediction of thermal fatigue cracking in die casting tooling, Wear 256 (2004), page 38-43. 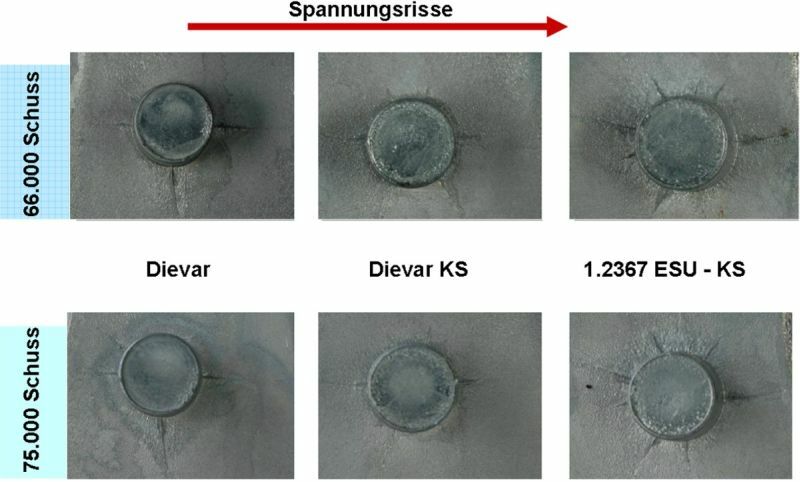 Pries H., Liluashvili Z., Dilger K., Occurrence of firing cracks at die casting molds, Druckgusspraxis 3/2003, page 135-140.